E-4 ($12.00) 18 x 24 inches. 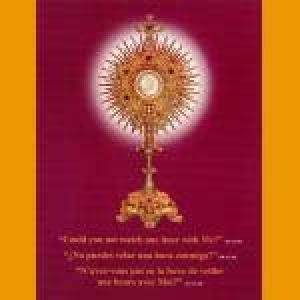 Breath taking Gold Monstrance with Host/Burgundy background. Three languages in one!